The organisation of source files is a topic which is quite seldom addressed in C++. 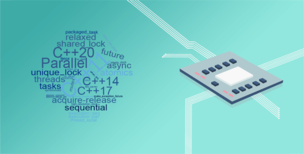 With C++20 we will get modules, but until then we should distinguish between the implementation and the interface of our code. I have prepared the pdf bundle. To get it is quite simple. Honestly, many programmers in my classes have issues with the syntactic sugar of lambdas. Desugaring lambdas with C++ Insights helps quite often. Variadic templates are a C++ feature which looks quite magic the first time you see it. Thanks to C++ Insights, most of the magic disappears. Today's post from Andreas is about template instantiation. 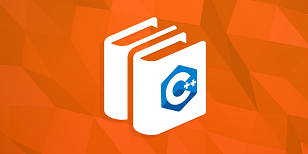 C++ Insights helps you a lot to get a deeper insight into this automatic process. Andreas Fertigs story with C++ Insights goes on. This weeks post is about type deduction with auto and decltype or as I often phrase it: "Use the smartness of the compiler." 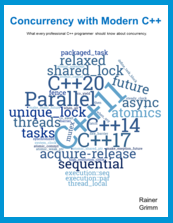 I'm totally happy to announce that this post starts a series of posts to C++ Insights. 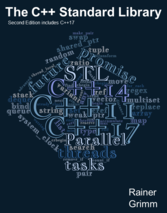 C++ Insights is an awesome tool which I use heavily in my posts and in my classes to show the magic of the C++ compiler. 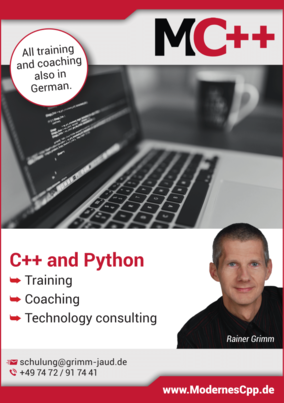 Due to the same history of C and C++, both languages are closely related. Because neither of them is a subset of the other, you have to know a few rules to mix them.